©2003-2013 Raoul Verolleman. All rights reserved. This page attempts to comprehensively list every album or single (if exclusive) on vinyl or CD (and some audio and video tapes) that includes material by Gene Clark. If you have additions, please contact RAOUL VEROLLEMAN. Note: Johnny Rogan, in "Timeless Flight" reports that Gene Clark wrote and recorded a song (a love ballad) with the Sharks when he was 14 years old. Rogan says the record was released locally (in Kansas City, Missouri) and was played on national television. This is subject to debate, however. Evidence of the single would be greatly welcomed! Gene Clark himself mentioned this single in several interviews (and mentioned the title of the B side). Hereunder is a scan of part of a 1978 interview with Gene. I rather believe Gene and Johnny Rogan than some self-appointed Gene Clark expert who writes about him 45 years after these songs were recorded and still thinks he knows better when saying this record never existed. Note: According to the New Christy Minstrels biography, "The Wheeler Dealers" was the first song they recorded with Gene Clark in 1963. It was released in October of '63 as the B-side of "Saturday Night" ("The Wheeler Dealers" was on the soundtrack of a James Garner film by the same name). The image shows the picture sleeve release from Holland. Gene Clark is not pictured on the cover. Note: Gene Clark joined The New Christy Minstrels just after Green Green became a hit, and does not sing or play on the original version. However, some well-informed sources say that he was present when the italian version was recorded. So he might be on some of these tracks sung in italian. It would really be something if he was on this version of 'Mister Tambourine Man'. Note: A 7-inch EP taken from the Merry Christmas album. Note: Gene Clark is rumored (primarily by Johnny Rogan) to have participated in some recordings by the Merry Go Round. It is not clear which, if any of the recordings feature Clark. In the liner notes to the Merry Go Round compilation, the two primary members of the band credit Joel Larson with providing a third harmony part, and there is no mention of Clark ever participating with them. The band did, however, feature two former members of the Gene Clark Group: Larson and Bill Rinehart. The image at left is the original vinyl album. The scan at right is the Japanese CD reissue. Note: This compilation includes one song from Gene's first solo album. Note: Some self-appointed "reliable" source claims that some people recently remembered that Gene Clark participated on this LP (on tracks marked *). Although we strongly doubt this being the case, this LP has been added for possible completeness's sake. Notes: Gene Clark wrote "Till Today" and "Long Time," two songs on the album that are otherwise unreleased by Clark. According to some band members, Gene Clark also plays on these recordings. And according to some self-appointed Gene Clark specialist, he was in the studio with them when they cut their album and even played on it as well as contributing a guitar part to another track, next to the songs he wrote. This was around the time that Gene briefly rejoined the Byrds in November 67. We strongly doubt this being the case, but this LP has been added for possible completeness sake. Note: The first single by Dillard and Clark. Note: The three bonus tracks were originally available only on rare Dillard and Clark singles (45s). Note: Both sides of this 45 single were originally unavailable elsewhere, and in fact were extremely hard to find anywhere until the late '90s. 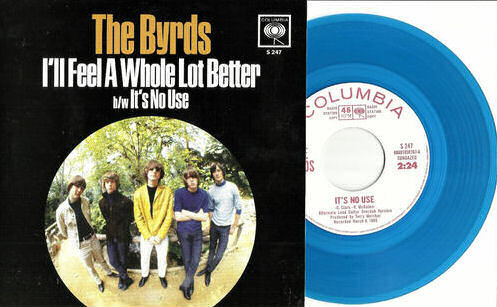 Note: Gene Clark appears on the two early Byrds demos. Note: The A side of this 45 single was originally unavailable elsewhere, and in fact was extremely hard to find anywhere until the late '90s. Note: The final Dillard & Clark single. Note: Gene Clark guests on harmonica on one song (#). Gram Parsons also appears on this album (on organ). Note: Gene Clark guests on harmonica on this album, which also features Bernie Leadon. Note: Sid Griffin often mentioned that the title of this LP was « Gene Clark but 'affectionally known to fans as 'White Light' ». Since this has been written in several places, everyone seems to be saying it. Well, it WAS White Light. They just forgot to put the title on the cover artwork, as Gene himself told Johnny Rogan back in the 70s. On the vinyl disc, it's clearly headed WHITE LIGHT, as one can see on image 4, a scan of the original holland pressing from 1974.. Note: Right Picture is the 2003 CD release with bonus tracks. Image 3 once appeared on a website, but it is not known whether it is a different cover or a damaged one. 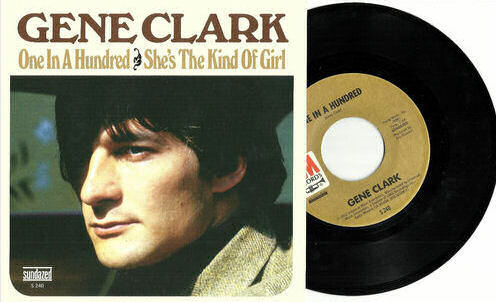 Note: Gene Clark reportedly sings backup vocals on "Tried so Hard," the A side of this 45 rpm single. To most people's ears, his contributions are inaudible. Supposedly, his vocals were replaced by those of Rick Roberts when the song appeared on the album "Flying Burrito Brothers" later that year. The instrumental backing track is definitely different from the version on the LP. Update: in a May 2008 e-mail to Jean-Pierre Morisset, Chris Hillman says that Gene Clark did NOT sing on this track. Note: Though titled "bootleg," this album appears to be an officially released album sent by A&M Records to radio stations. Note: Essentially a re-release of the "Gene Clark with the Gosdin Brothers" album remixed and with new vocals by Gene. The album omits one song found on the original, "Elevator Operator." Note: The image at top left is from the original Dutch album, center is the 1986 vinyl resissue. The CD reissue (on the British Edsel label) from the late '80s is at right. Note: # Gene Clark on lead vocals. At left is the japanese release re-titled FOUR SIDER. Note: This 45 from Germany includes an edited version of Life's Greatest Fool (3:08). Original release date: 1974. French Vogue Label Ldm 30261. Note: Gene Clark is NOT credited on this album. There is a remote chance he sings background vocals. On the album cover, he is thanked for "for his kindness," and Tommy Kaye (who produced Gene's "No Other") is thanked "for his inspiration." Another Gene Clark associate, Tommy Slocum, is credited with guitars and background vocals. In addition, the album credits "Arterio Mysterioso" for background vocals. Original release: 1975 (Ariola-Eurodisc Benelux B.V. - Harlem. Note: Garrote is an instrumental performed by Hugh Montenegro. Note: Three songs performed by Gene Clark. These versions are different from those found on the American Dreamer soundtrack. They are unavailable elsewhere. Note: This is a Roger McGuinn compilation sent only to radio stations. 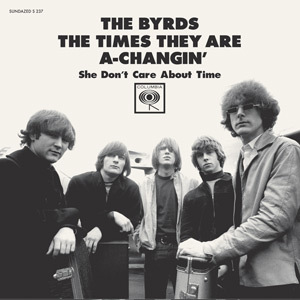 It includes three Byrds songs which also feature Gene Clark. The disco single was issued in both 12-inch and 7-inch configurations. Note: The scan at left is the original vinyl album cover; the second scan at left is a CD reissue on the Making Waves label (from the UK). The third scan is another American reissue. The fourth scan is from Portugal; and the fifth scan is another British release, on the Hudson Canyon Records label. Note: This 45 features Gene Clark. The B-side is remixed with additional vocals by Don Henley. Note: Gene Clark sings backup vocals on both sides of this 45 rpm single. Note: Gene Clark is rumored (primarily by Johnny Rogan) to have participated in some recordings by the Merry Go Round. It is not clear which, if any of the recordings feature Clark. In the liner notes to the Merry Go Round compilation, the two primary members of the band credit Joel Larson with providing a third harmony part, and there is never any mention of Clark ever participating with them. The band did, however, feature two former members of the Gene Clark Group: Larson and Bill Rinehart. Note: The cover pictured above left is the Rhino vinyl, with the above track listing.. Note: # includes Gene Clark. Note: The compilation includes two Gene Clark & Carla Olson songs. Note: Bucketfull of Brains is a music magazine from Britain which included a free flexidisk with most every issue. The Gene Clark flexidisk was included with issue 24. This version of "Gypsy Rider" (from the Textones sessions) was originally unavailable elsewhere. 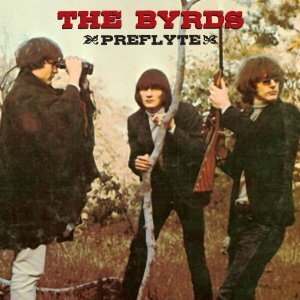 Note: Early Byrds demos; some versions different from those on Preflyte album. Tracks marked * appear on the CD version only (pictured at right). Note: Gene Clark sings harmony on #. Pictured right is the CD release. Note: # includes Gene Clark on lead vocals on a song he wrote. This is a compilation of released and unreleased songs by the Textones. Note: Includes one song performed by Gene Clark and one by the Byrds. It also includes a rare cover version of a Gene Clark song (by Velvet Crush) and a cover of a Gram Parsons song (A Song for You). Note: Includes one Dillard and Clark song. Notes: * Gene Clark and Carla Olson perform one song, "Changes," on this tribute to Phil Ochs. Image at right is a reissue. Gene Clark sings lead and plays guitar on #. Note: a compilation of released and unreleased material. Gene Clark plays on the songs indicated (#). Note: This CD features the original two Dillard & Clark albums on one CD. Note: Gene Clark plays on the songs indicated (#). Note: This 3LP radio program was aired by radio stations in 1991. In addition to the music, it includes interviews with Gene Clark, David Crosby, Roger McGuinn and Chris Hillman. The discs that were sent to radio stations circulate among collectors. Notes: This is a reissue of the "Gene Clark with The Gosdin Brothers" album (mostly remixed) with bonus tracks. Pictured right is the french digipack 2003 re-release. Note: Gene Clark contributes to one song on this Roger McGuinn compilation (#). Note: The Japanese release (Nippon Crown Crcl7513) includes an extra track performed live (#). The original U.S. release is left, and the Japanese reissue is at right. Note: This CD single was issued without a cover or booklet. All three songs are from the Silhouetted in Light album. Notes: Gene Clark participates on one song, Here Tonight. Note: Contains one song by Gene Clark and Carla Olson. Notes: Gene Clark is not known to have participated on this album. It does, however, feature one song written by Gene, "Rock of Ages," that is unavailable elsewhere. Second picture is a re-release. Notes: A reissue of the 1984 album "Firebyrd" with bonus tracks recorded a few years later. The UK Demon album cover is pictured at left; the American release is pictured at right. Notes: Contains one song by Gene Clark and Carla Olson, "Changes," which was originally released on "True Voices," a tribute to Phil Oches. Nick Lowe - (What's So Funny 'Bout) Peace, Love And Understanding? Note: Gene Clark contributes lead vocals to # and harmony vocals to ##. Note: Gene Clark reportedly contributes to "Saturday Night." Note: Gene Clark was a member of the band on the songs indicated (#). Note: Includes some songs with Gene Clark. Note: Includes one song by Gene Clark. This CD was included in copies of the April 1998 issue of the British music magazine Uncut. Note: Gene Clark sings background vocals on one song, Ivory Tower. # This 2-CD compilation album features a handful of unreleased songs (#). Note: # This compilation album features Gene Clark where noted (#). Note: This CD features the original two Dillard & Clark albums on one CD, plus three songs originally available only on 45. Note: The compilations pulls together the complete first three Burritos' albums, additional material originally released on Close Up the Honky Tonks, plus two live tracks from the live Burritos album (from 1972). Includes the Burritos song Here Tonight with Gene Clark. This double CD does NOT feature Gene Clark. One song by Gene's brother Rick and one song by Gene's son Kai. Note: Although this CD purports to be the Byrds, most these recordings are actually unreleased recordings by Gene Clark and Pat Robinson. In some circles, these songs are referred to as CRY recordings - but John York does NOT appear to be on these versions, which, however, do appear to be from the mid-'80s. Some of the recordings are apparently by an unrelated band. 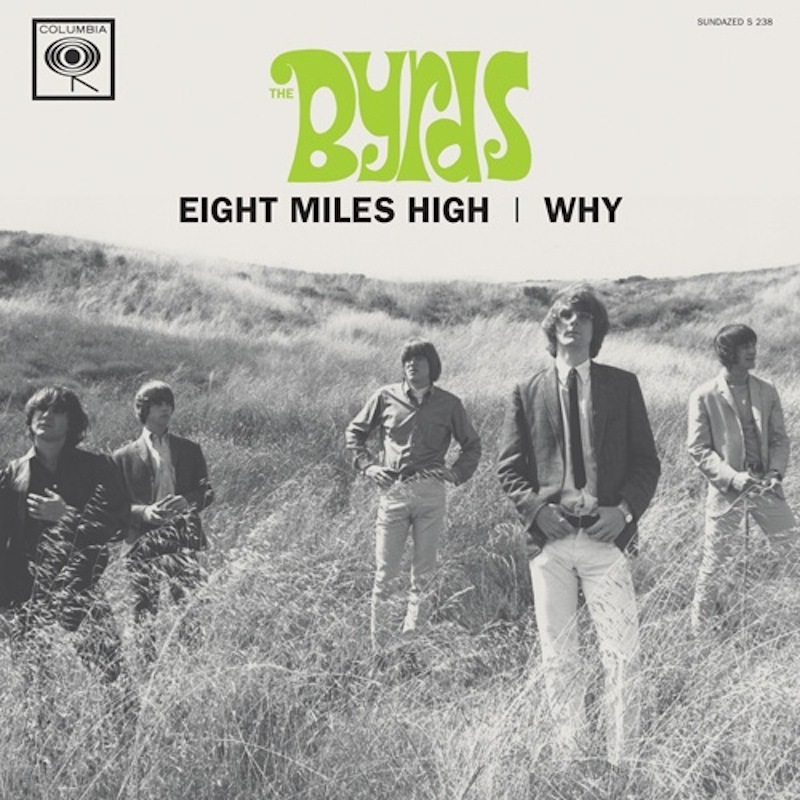 Although the CD appears to be legitimately released in Europe, none of the recordings are actually by the Byrds (not even the Gene Clark Byrds of the '80s), and the label indicates the recordings were officially leased from Pat Robinson, but Robinson denies knowledge of the CD release. This CD has also been released under the title Mr. Tambourine Man (see below). Another CD includes several of the same tracks, It's All In Your Eyes. Note: Although this CD purports to be the Byrds, most these recordings are actually unreleased recordings by Gene Clark and Pat Robinson. In some circles, these songs are referred to as CRY recordings - but John York does NOT appear to be on these versions, which, however, do appear to be from the mid-'80s. Some of the recordings are apparently by an unrelated band. The CD appears to be legitimately released in Europe. This CD has also been released under the title Alternative Tracks (see above). Another CD includes several of the same tracks, It's All In Your Eyes. Note: Although this CD purports to be the Byrds it is actually primarily unreleased recordings by Gene Clark, Pat Robinson and John York! These recordings from circa 1985-1986 are sometimes referred to as CRY recordings. This CD includes seven different songs that do not appear on two other so-called Byrds (actually Clark-Robinson) CDs, above. Note: Although this CD purports to be the Byrds, most these recordings are actually unreleased recordings by Gene Clark, John York and Pat Robinson. In some circles, these songs are referred to as CRY recordings. Those sessions appear to be from the mid-'80s. Some of the recordings are apparently by an unrelated band. The CD appears to be legitimately released in Europe. Note: Although this CD purports to be the Byrds, most these recordings are actually unreleased recordings by Gene Clark, John York and Pat Robinson. In some circles, these songs are referred to as CRY recordings. Those sessions appear to be from the mid-'80s. Some of the recordings (marked *) are by an unrelated band. Various Artists: Are You Ready For The Country? Note: This box set contains all 13 Byrds Columbia/Sony CDs, plus 4 rare photos of the band and, Pete Frame's 'Family Tree Of The Byrds. A collection of songs written, co-written or recorded by Gene Clark, by Australian artists. This CD does NOT feature Gene Clark. Note: Gene Clark doesn't appear on this set. It's made of Gene Clark songs performed by other artists. The track listing might be different in order from the above mentioned. Note: This is the first official release of the famous "Denver" concert that has been circulating unofficially for decades. Note: This single was planned to be released in 1967 but was cancelled. Gene Clark is the subject of this rockumentary. It includes new interviews with ex-Byrds David Crosby, Roger McGuinn, Chris Hillman and John York, and many more Gene Clark related people (musicians, wife, sons, producers, friends, colleagues...) alongside previously unseen archive footage. Note: many excerpts of Gene Clark songs are featured on this DVD. A complete, impromptu rehearsal version of Bob Dylan's "I Shall Be Realesed" is featured as the end of the rockumentary, performed by CRY (Gene Clark, Pat Robinson, John York and a fourth musician, unidentified at the time of writing this comment). A hearty thanks to Richard Russell who originally created this page. Sincere thanks also to Cheryl "Pinkie" Jennings, Neal Orr, Rod Hogarth, Charlene Root, Hans Kamermans, René Mollerup and Kazuhiro Goda for their help with this page. If you have further information about albums or recordings featuring Gene Clark, please e-mail Raoul Verolleman at byrdmaniax2003@yahoo.fr. Thanks!